This toy car is made to order. After your order is placed I will make your car. 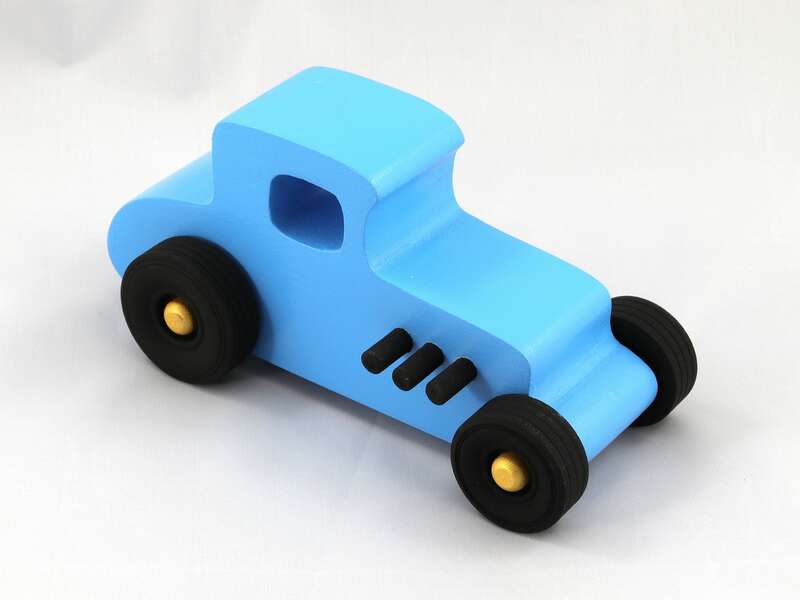 A handmade wooden toy car for adults and children three years old and older, sturdy, durable, and made to withstand a little boy's rough play. With a bit of care, they should still be around for the next generation. I made the original set of Hot Rod Freaky Fords for my grandson Odin, my Quality Assurance Inspector when he was two years old. After more than three years of play, they are still going strong outlasting many factory made plastic toys. Like all my toys they are grandson tested and approved.